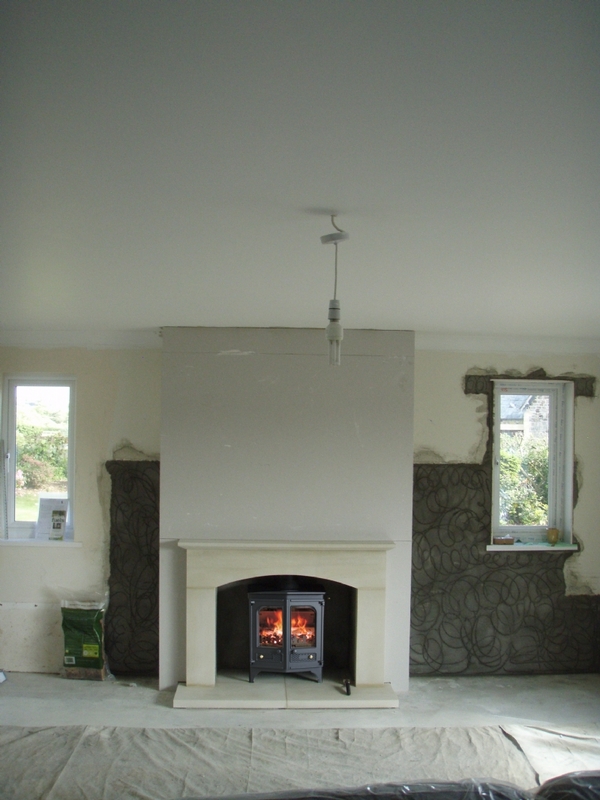 Charnwood Country 6 installation wood burning stove installation from Kernow Fires. 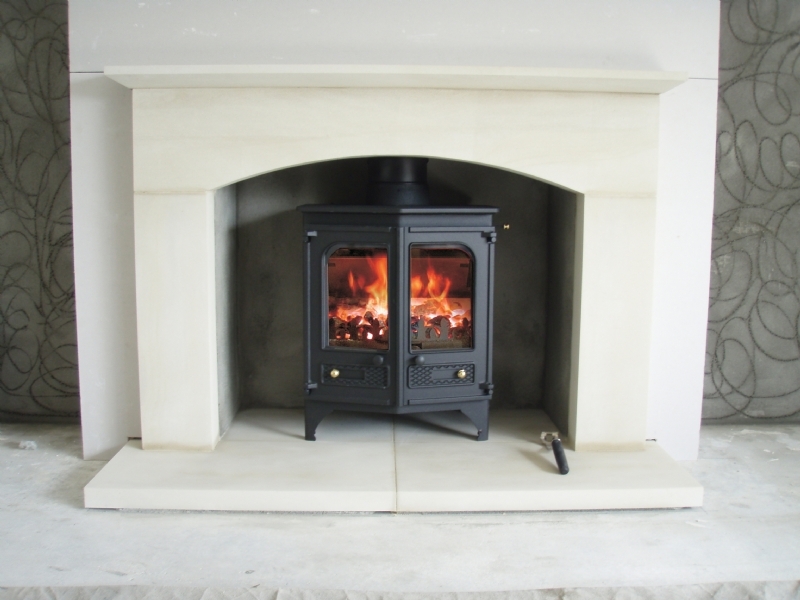 Customer Aspiration: A beautiful stone mantel with an efficient multifuel stove with a traditional look to complement the mantle. 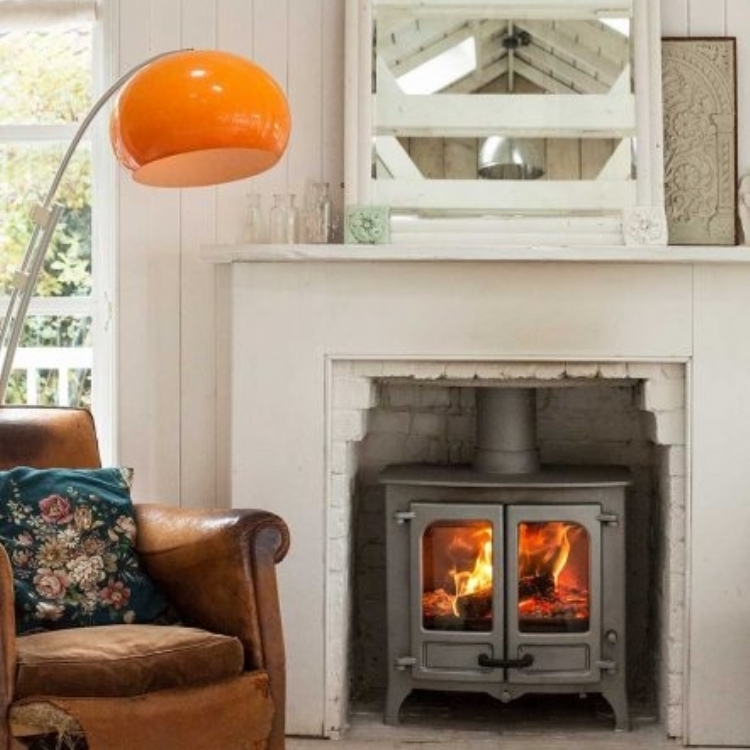 Special Requirements: A bespoke fireplace with matching hearth and traditional stove. 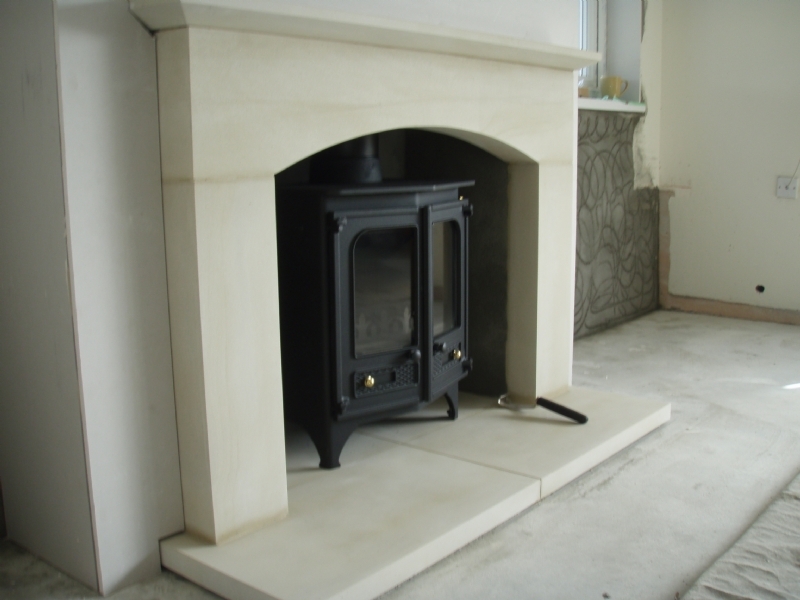 This refurbished room required an elegant fireplace solution, the natural stone fireplace, from Wessex Stone, added both a warm and classic feel to this room. 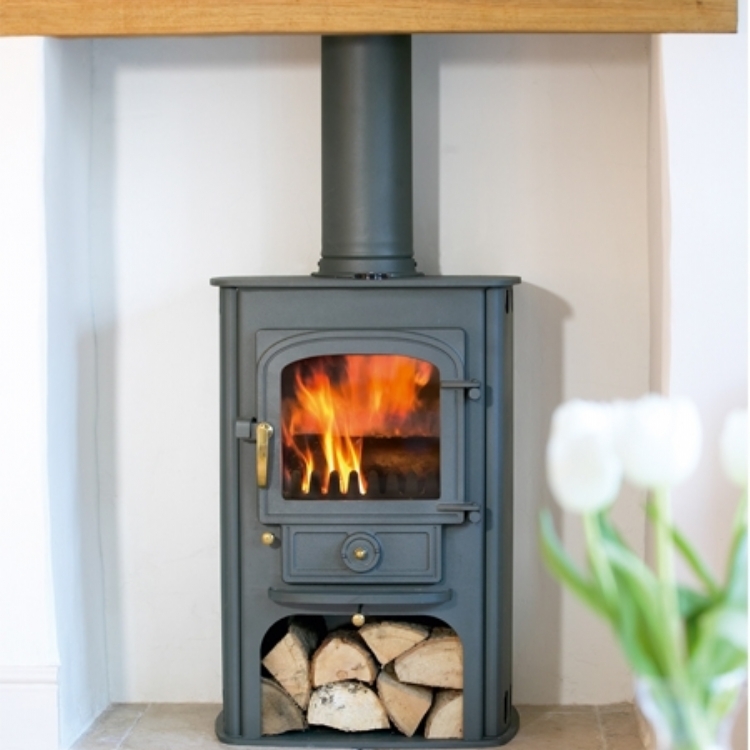 The Charnwood Country 6 stove adds the traditional homely charm and its angled doors work well in the wide room.